As I sat watching old family movies, memories came flooding back. Memories of happy times travelling with my parents and younger brother. What struck me was how almost every trip had a visit to some local animal park, roadside zoo or aquarium. It reminded me that in the late 50’s and early 60’s, this was the norm. It was what most people accepted, as being acceptable. Animal welfare and endangered species were not as widely discussed back then as they are today. From alligators and exotic birds to jumping dolphins doing tricks in small pools to wild animals being paraded around for onlookers to “ooh” and “ah” over, there was no shortage of attractions to draw in tourists. We seemed to say “yes” to them all. As a rose-colored glasses optimist, it also reminded me how far we’ve come. Never forgetting how far we still have to go. Although consciousness is raised, those who work in the conservation arena warn us that the extinction of species continues to accelerate “fast enough to eliminate more than half of all species by the end of this century.” The cause of this extinction is directly linked to human activity. The rapid loss of species we see today is estimated by experts to be between 1,000 and 10,000 times higher than the natural extinction rate. Using the low estimate that there are 2 million species on our planet, how can we stand by and continue to allow species to perish? Especially with the knowledge that extinction of species and natural ecosystems is not reversible. Once species are gone, they’re gone forever. As bad as the news sometimes seems, it’s important to acknowledge the successes we’ve seen over the last decades. Back in the 70’s, it was fashionable to wear fur coats. Wearing fur was considered a sign of your status in society for decades before this. The more expensive the fur, the higher your status. More people are now saying ‘no’ to fur, leaving unwanted fur coats hanging in closets or sent to landfill. Personally, I still have four fur coats (already used when I got them) that I wore in the 70’s. I’d love to put them to some good use for orphaned or injured wildlife, or humans in need. They still sit in a box, waiting to be shipped to someone who will use them. So far, no takers. There’s good news. In the last few years, we’ve seen major shifts in the fashion industry, with high-profile designers committing to stop using fur. Now major fashion magazines are doing the same. Cities are coming on board too. San Francisco recently became the world’s first major city to ban sales of fur. Progress! My deep love for elephants goes back to my childhood. Their wisdom and majesty fascinate me. As a long-time elephant crusader, I’m not alone. There seems to be a universal admiration and love for these beautiful animals. In the past, I admit I was ‘that’ person who would visit the zoo in whatever city I travelled to. I’d spend hours observing the elephants from afar. Often, I felt conflicting emotions. Joy at being able to see them, but a sadness that was hard to put into words. Elephants are often compared to humans because of how highly intelligent they are. Could this be why we humans are so drawn to them? Studies have proven that like humans, elephants are self-aware. A study done with an elephant named Happy showed how she would touch a white cross painted on her forehead. A test used to test self-awareness in children. Happy could only see the white cross while looking in a mirror. She understood that she was looking at a reflection of herself. As our collective consciousness is being raised, zoos continue to close their elephant exhibits, allowing their elephants freedom to live out their lives in sanctuaries. 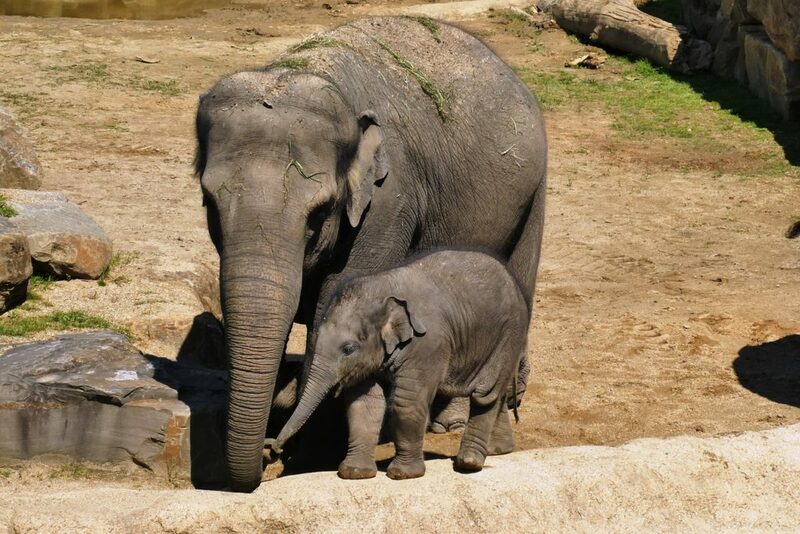 Zoos in San Francisco, Toronto, Calgary, Vancouver, Alaska, Philadelphia and Detroit have bowed to the scientific and public consensus that elephants don’t thrive in a zoo environment. In the U.S., PAWS in California and The Elephant Sanctuary in Tennessee are welcoming homes for formerly captive elephants. Allowing them the freedom to just be elephants. Sadly, there are still many zoos who have elephant exhibits. Lucy, the lone elephant in the Edmonton Zoo and Billy, the lone bull elephant at the L.A. Zoo, both have high-profile groups advocating for their release to a sanctuary. Although they’ve been fighting for their release for years, there is still hope these elephants will be free soon. One of my great joys has been to foster several of their orphan elephants. Fostering ensures they thrive and are able to be released back into the wild. For those who want to support orphaned elephants, there are many beautiful babies to foster on the DSWT site. What can we do to help endangered species? As consumers, we can use our voice by refusing to spend money to visit zoos or circuses that feature elephants. Or any animals for that matter. It’s easy to become an elephant advocate by signing the Born Free pledge and committing to avoid any sort of ‘entertainment’ setting where an elephant performs. Will Elephants Become an Endangered Species? Collective awareness has been raised about the unsuitable conditions and cruelty elephants in zoos and circuses experience. Yet, it’s not a main reason for declining elephant populations that put them on the vulnerable list. It’s hard to imagine that at the turn of the 20th century there were a few million African elephants. There are only an estimated 450,000 – 700,000 today. The troubling news is that the current yearly loss—overwhelmingly from poaching—is estimated at 8 percent, or 27,000 elephants slaughtered each year! Poached, to satisfy the insatiable demand for ivory from elephant tusks. 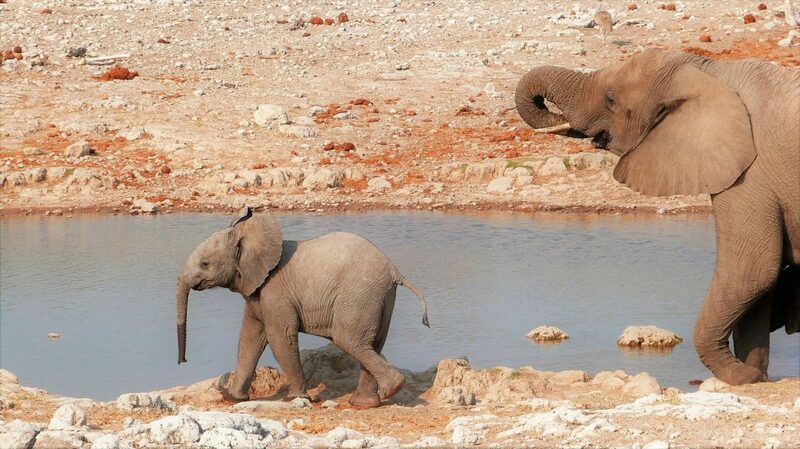 Couple that with trophy-hunting, population growth, human encroachment and climate change, and it remains a reality that elephants are in real danger. There’s good news on this front though. Asian countries, who’ve been the main consumer of poached ivory, are moving to ban ivory imports. National Geographic, reports that “China is widely believed to be the world’s largest consumer of ivory, both legal and illegal, and it plays a major role in the yearly slaughter of some 30,000 African elephants by poachers.” However, as of December 31st, 2017, a complete ivory ban is in place in China. Although there is a lot of work to be done, (like getting the U.S. to ban all trophy hunting and Canada to finally ban all ivory trade) any good news, is welcome. African nations are doing their part by also cracking down on the ivory trade. With the rise in ecotourism, more people are travelling to see wild animals in their natural habitats. This helps keep tourist money in the local economy while helping to preserve the environment, culture and endangered species of animals and plants. It’s also a wonderful way to show respect for a people that have often battled political strife. A win-win. Is there hope? Always. Enough so that one day soon, animal cruelty and an endangered species list, will (hopefully) be a thing of the past. Until then, I’ll remain a rose-colored glasses optimist, committed to raising awareness and change. Note: An edited version of this piece appears in the “Endangered Species” edition of the Born Free USA magazine. Thanks so much Wynne! As a fellow animal advocate, I know that all animals matter to you too! Thanks for sharing the inspiring message once again, Beverley! I’ve recently watched “Earthlings” and it left me speechless. Was already aware of most issues described, but this movie presents it in a direct way with zero compromises. I think we all need a harsh reality-check like this one! Agreed with Ellen—zoos definitely don’t contribute to animal welfare. We should put the resources into sanctuaries instead. Thank you so much for reading this new post on endangered species, Alex! So happy you found it, as I know how passionate you are about animal welfare too. I haven’t heard about “Earthlings” and thank you for sharing it here. I will definitely watch it, as it sounds like it is the harsh-reality check we all need. 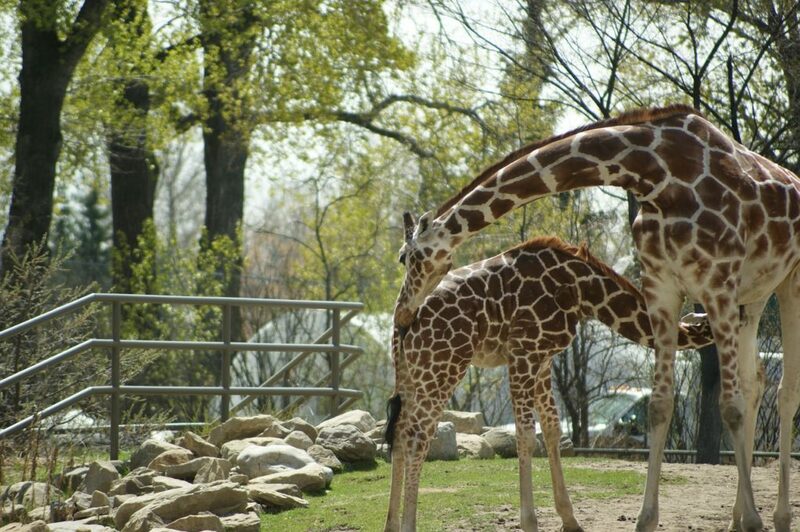 Although some zoos claim to contribute to animal welfare, ultimately, animals do not belong in zoos. Like you, my hope is that sanctuaries will be the ‘zoos’ of the future. Only more compassionate and more conducive to nurturing the animals who will call them their home. 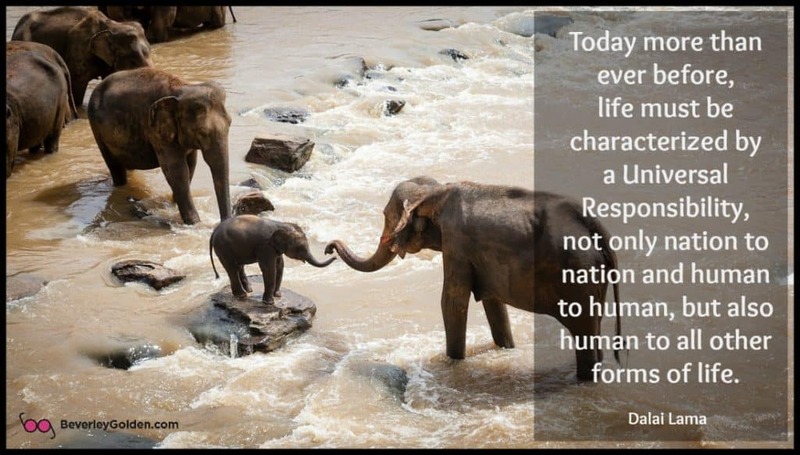 The ongoing global action against elephant slavery and (wildlife) crime needs every support – for sustaining through responsibility by humans in recognition.of the rights of our pristine non-human beings on shared ground on Earth. Thank you Beverley for your timely article in recognition of World Endangered Species Day to highlight the progress made this far, through raised awareness and the importance of sustaining the ongoing and shared global campaigns. Our wish remains the freedom of all our non-human brethren among whom are precious Lucy in captive slavery and isolation at Edmonton Valley Zoo, Billy in L.A and a host of others across Asia in the name of culture and religion most warped, including Sri Lanka and Kerala, among other commercially driven ventures promoting tourism most warped This has to end as does wildlife crime — and fast!! Thank you Sudarshani for your deep concern and advocacy for the beautiful animals of our planet. There is no time to waste, but as an optimist, I see how our consciousness is being raised and more people are understanding the dire impact of the many endangered species in our world. There is always progress, but sometimes it is slow. The question is will we have enough time to stop the rate of extinction and save many beautiful species. Elephants in zoos and circuses deserve to be released and I am aware that in both North America and India, there are still many problems with how elephants are viewed and then treated. Yes, I am aware the issues in Kerala and the huge advocacy movement there is to bring awareness and change. Sri Lank as well. Unfortunately, many people believe elephants are revered in these countries and well-treated, which of course is not the case. I agree we need to speed up the change, but unless more people speak up and out, things will continue to move slowly. Thank you again for your passionate voice for animals, especially elephants, everywhere! Although I will never be “passionate” about animal advocacy; however, I respect and admire your passion. We sent our son to Rwanda on a group trip when he was in high school to visit critically endangered mountain gorillas in the bamboo jungle of Volcanoes National Park. They found the gorilla family they were looking for, and I recall him excitedly telling us how he watched them eat, climb, play and eat again. He was sharing how the adult males are largest primates on the planet, both strong and gentle when they are not threatened and how their guide keep telling them not to make moves that could be interpreted as aggressive. He said that the entire gorilla family studied them too! We recall him writing in his journal that if people looked into their human-like eyes they might be convinced me that the gorillas must be saved from extinction. Oh, and San Francisco, CA has not banned fur sales. I know this because I was looking at furs at Neiman Marcus’ big fur sale just yesterday. Perhaps it is in the works. Thanks for acknowledging my passion for raising awareness about the animals who need our help, Rachel. I love the story about our son’s trip to Rwanda and how the experience and the lessons he learned, will most likely stay with him throughout his life. Learning through experience is such a powerful way for children to learn. It sounds like it was a very profound experience for him indeed. As far as furs being banned in San Francisco, yes it will take some time to be in full effect, as I would imagine there is a grace period for retailers and manufacturers to completely eliminate it completely. What a wonderful article Beverley as it speaks right to the heart of the challenges we human animals are facing with the unpresidented levels of distruction we have unwittingly created. There are now 41,415 species on the IUCN Red List, and 16,306 of them are endangered species threatened with extinction according to Endangered Species Journalist Craig Kasnoff. He goes on to share that the species endangered include one in four mammals, one in eight birds, one third of all amphibians and 70% of the world’s assessed plants on the 2007 IUCN Red List are in jeopardy of extinction. The total number of extinct species has reached 785 and a further 65 are only found in captivity or in cultivation. In the last 500 years, human activity has forced over 800 species into extinction. These statistics of course also include plants but all the same very alarming. As you know I am very passionate about focusing on endangered wildlife as my purpose in all that I do. It is so important to create the awareness, as you are doing with this article, so that people may truly understand the reality of the situation. 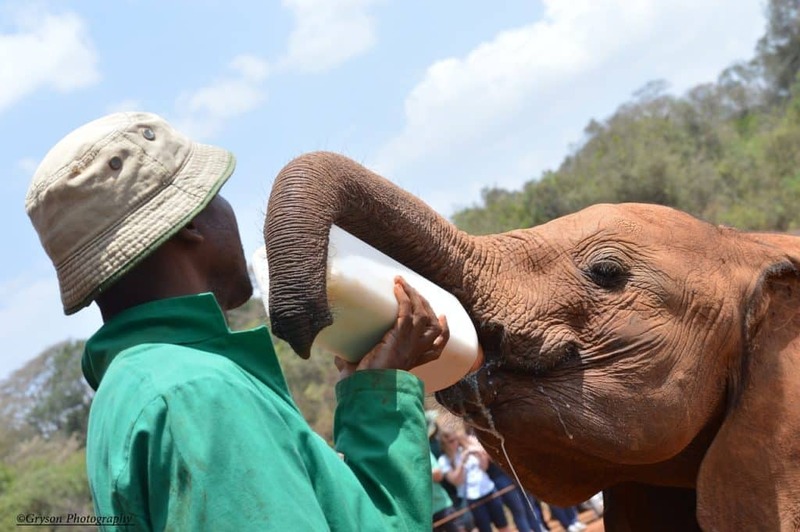 Your love and passion for all animals is such an inspiration and we are thrilled you are joining us on our Elephant Adventure to Kenya as taking action is just as important as sharing the information and knowledge. The current registered status for the African Elephant is “Vulnerable” however as you mentioned at the rate of deaths happening now this is changing very rappidly. There are only approximately 415,000 in the wild according to the WWF. Most of which are found in Botswana. There is some good news as there are areas througout Africa where they have seen slight increases in numbers (taking into account all the poaching) of around 2%. Thank you for adding so much to this conversation about wildlife and the dire statistics about their welfare on our planet. I know you are a passionate animal advocate as well, Tamar and I agree with you, that raising awareness is needed, but taking action is also a key component to change. The stats you shared are quite staggering and for anyone who cares about the future of our planet, they must see how the plant kingdom, the animal kingdom and we humans are all inter-related. We are dramatically changing life as we know it, through our own lack of understanding and I’ll add to that man’s greed. I am very excited about having the opportunity to join you on the Elephant Adventure to Kenya this fall. It feels like this is the year to focus our energy on African and Asian elephants, to support them in their struggle to survive. I believe I read that elephant populations are up slightly in Kenya as well, so hopefully through awareness, we are changing the direction of not only elephants, but many of the animals who are endangered and facing extinction. It certainly seem to me that many, many people are raising their voices to help shift the consciousness to one of compassion, reverence and love for all living beings! Thank you for a beautiful and inspiring article and for your tireless work for all animals, especially our beloved elephants. I live in Edmonton, Lucy’s captors and feel shame at her plight. We shall not stop until she is in sanctuary. Thank you so much for your kind words and for also being an animal advocate, Pam! For all of us who love elephants, seeing them in captivity like Lucy is in the Edmonton Zoo, is heart-breaking. Sadly, Lucy is not being allowed the opportunity to be an elephant. I am with you in being part of the vocal advocacy for Lucy’s release to sanctuary! It takes time and hopefully Lucy’s time will be soon and she will live out her life in sanctuary with others of her kind. Beverley I hold you in such high regard in educating us about this important issue. My heart goes out to all who lead this crusade. Animals are beautiful and critical to the ecosystem. We are all so connected and the selfishness of humans can be overwhelming. I love the National Geographic show One Strange Rock. If people don’t start to understand that how you think, act and feel creates your environment, you will continue to suffer and make others suffer as well. I love the way you wrote this, Beverley, pointing out the problems but also highlighting the good news. We certainly have come a long way. Crazy what we were prepared to do in the name of fashion. I agree, there is a long way to go but there are people, like you, working tirelessly to help animals regain their freedom and safety from the cruelty of humans. It is wonderful that you are using your talent as a writer to speak up for animals. Thank you Tami! I know how deeply you love all animals too. I agree that we have a long way to go, but it is so important to look at the advances we have made. As our consciousness is raised, so are the positive things that come as a result. It is crazy to think what we used to do in the name of fashion. Unfortunately, animal testing is still all too real and must be ended as well. There are many, many people working tirelessly to bring awareness and change to how animals, all animals, are treated on our planet. The sooner that happens, the better for me. Thank you for your support and as a writer, it feels like this is one way to spread awareness and hopefully bring change. Thank you, Sharona, for seeing that we have come a long way when it comes to awareness about animal welfare, but that we also have a long way to go! I also believe we are the stewards of the earth and all the living beings on it. The animals need us to be their voice. Thank you for your work of advocacy and care. Thank you for acknowledging my work advocating for the animals of the world, Meghan! There are way better ways of protecting species than locking them behind fences. It hurts my heart to go to zoos, which is why I don’t. Well said, Jackie! Yes, locking animals up behind fences, or keeping them in small enclosures, is not a way to honour the lives of the beautiful animals of our world. Like you, it hurts my heart to see any animal in a zoo now, and I will no longer go either. So exciting to learn of the ivory ban in China. This is a huge positive step, and hope to hear of more positive steps. Thanks for keeping us informed. I agree with you about the ivory ban in China, Robin! We can only hope this leads to dramatic changes when it comes to saving elephants. A positive step indeed! Thank you for caring too. Beverley your post was informative, inspiring and touches deep within my heart. Thank you for bringing light to our fellow creatures who need us to protect them. Thank you so much for caring so deeply for the animals of the world, Debra! We are here to be their voice and to shine a light on how much still needs to be done to protect them and give them the opportunity at the lives they deserve. We have numerous laws and action groups in India who fight relentlessly for the rights of wild animals, Beverley, especially for tigers, elephants and bears who are captured for different reasons. Quite often the cause of violating the rights of our animal friends is the lack of social awareness and toughness in implementing existing laws. Indians are becoming more proactive and we have seen our tiger population rise but there is still so much to be done. Thank you for sharing your research and the wonderful images. I was so engrossed in reading that I almost forgot to leave a comment! It is always wonderful to hear that countries have laws and ways to enact them relating to animal welfare, Vatsala! Action groups seem to be gaining the most traction for raising awareness, especially now when it comes to how Temple Elephants are treated in many places in India. There is a huge movement to raise awareness and free these majestic animals from the cruel and horrific conditions they are forced to endure. Lack of social awareness is a huge issue and many advocacy groups continue to educate and raise awareness so there is more understanding and reverence for the animals rights. I am happy to hear that in India there is a more proactive more to protect your tiger populations and that the work is garnering results. I love that you are sharing all of this! I have always loved elephants, they are so interesting. Thank you! Thanks so much Tarah! It’s wonderful that you also love elephants, as we need a many of us advocating for them as possible. Just THANK YOU, Beverley, for this beautiful post, the research you do, the pictures you share and for your standing up and speaking up for our planet, and for those creatures who need our help. I wish you and your work continued success and increased visibility and acclaim. The work you do is so important and you make me feel so proud to know you. WOW! such expressive compassion and passion! You are inspiring my friend. Thank you Lore! I really appreciate your support and hearing you felt my compassion and passion for the beautiful animals of the world. I would love to believe that the elephants are thanking me! Thank you Heather! I really appreciate knowing you enjoyed this post and found it helped to raise awareness! I can no longer go to a zoo or any place that keeps animals in cages for fenced in except for those that serve to rehabilitate them and return them to their natural habitats. I believe in being a voice for those who can’t speak for themselves. I became a vegan 5 years ago and it was one of the best decisions of my life. I feel the exact same way, Barb! I get very down on myself thinking how much I loved going to the zoo to see the elephants. No longer! There really is no reason to keep animals captive. Whatever reason is being used, it is a man-made one and has nothing to do with animal welfare. Thank you for also being a voice for the voiceless animals and for sharing how going vegan was an wise choice you made. 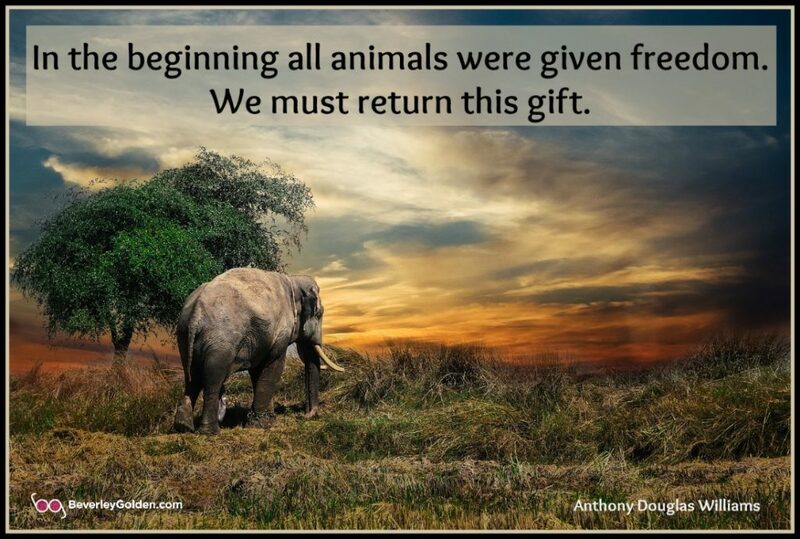 I also would love to see all the zoo and circus animals either returned to a natural habitat, or for those who wouldn’t survive, allow them to go to sanctuaries. Sanctuaries are the wave of the present and future! What a great article covering so many issues. I wanted to share with a story I just watched on 60 min last Sunday. It was how Zoos all over the world belong to a breeding consortium and share the genetics of the best animals suitable for breeding g. I was shocked to hear they put the least suitable ones on birth control to stop their desire to breed and even castrate some males. I was really shocked and saddened when the baby male giraffe in Sweden was “euthanized” at the age of 2 and then fed to their Lyons. Zoos claim they are protecting the species but I think it is out of control. The amount of money spent in the name of science of this breeding consortium could be put to better use in supporting elephant sanctuaries and stop culling! Thank you for reading and taking the time to share! I did not see last Sunday’s 60 Minutes and know I would have been very upset to see this. It is a sad comment on conservation to read everything you saw. I am shocked at how we humans still believe we have dominion over animals and should be making decisions for them. Animals are so much more in tune with themselves and their own needs, that we would be wise to step back and observe them to learn from them. Not try to control theme s humans often do. The zoos are not protecting the species when they practice selective breeding, although my hope is more people are becoming outraged at the idea of animals in zoos (and in circuses), so hopefully in time this unnecessary treatment of these beautiful animals, will end! I’m all for virtual zoos. Let the animals remain free!